For those of you who bet on horses, football or how many people you can squeeze into a Smart Car you probably think that Five to One represents the odds that a particular person or event will be victorious over someone or something else. Well in a way you would be correct. John Gottman, who is the most well known clinical practitioner studying the way couples interact, proposes that most healthy marriages are characterized by having five positive interactions per day for every one negative interaction. In other words the odds that your marriage will do well may be very dependent on the ratio of positive interactions to negative ones. Kind words, a wink, a hug, a thoughtful gesture, a mushy e-mail, a pat on the gluteus maximus, an adoring e-card, a phone call just to see how your loved one is doing, a small gift, quality time together, words of affirmation, a kiss for no good reason, an act of service, saying thank you, offering praise for something well done (or attempted) or a shoulder massage convey love. I assume that I don’t have to give you a list of negative behaviors, for some reason these come much more naturally. Unkind words and some form of criticism are obvious offenders. Less obvious (particularly to guys) are silence, withdrawal, and simply ignoring your spouse. Keeping score is a no win proposition in marriage. However, that said you may want to keep your own score for a couple of days. How often do you pay your spouse a compliment or express appreciation and/or show affection in some way throughout the day. How often were you critical, did you use a disapproving tone of voice, ignore your spouse, or in some way express displeasure? Again I suspect it will be more difficult for you to objectively spot your negative interactions. 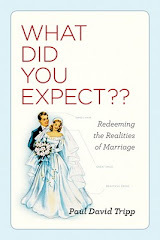 You might ask yourself, “Self, did my spouse fail to live up to some expectation today? ; Did something my spouse do irritate or annoy me today? ; Did my spouse let me down today?” If you answered yes to any of these questions there is a good chance that your response was negative, even if you didn’t say anything. Ephesians 4:29 tells us that we are “not to let any unwholesome talk come out of our mouths, but only what is helpful for building others up according to their needs that it might benefit those who listen.” Furthermore Ephesians 5:33 tells us we are to love and respect one another. Strive to exceed Gottman’s five to one ratio and I think you will notice an improvement in your marriage.